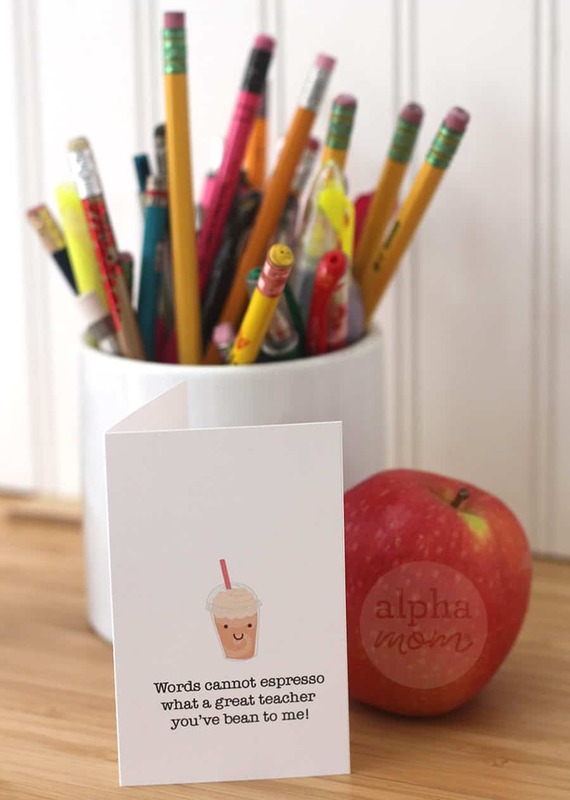 Looking for a way to slip your favorite teacher a gift card to their favorite coffee place, but need a little something sentimental to go with? 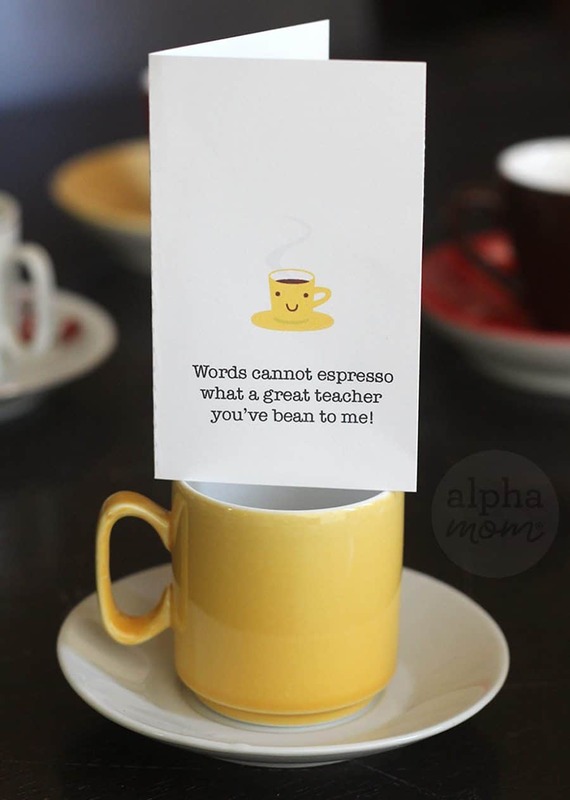 We’ve got you covered with a cute punny printable: Words cannot espresso what a great teacher you’ve bean! Teachers love puns, right? If not we know they’ll love a gift card to their favorite coffee shop tucked inside. 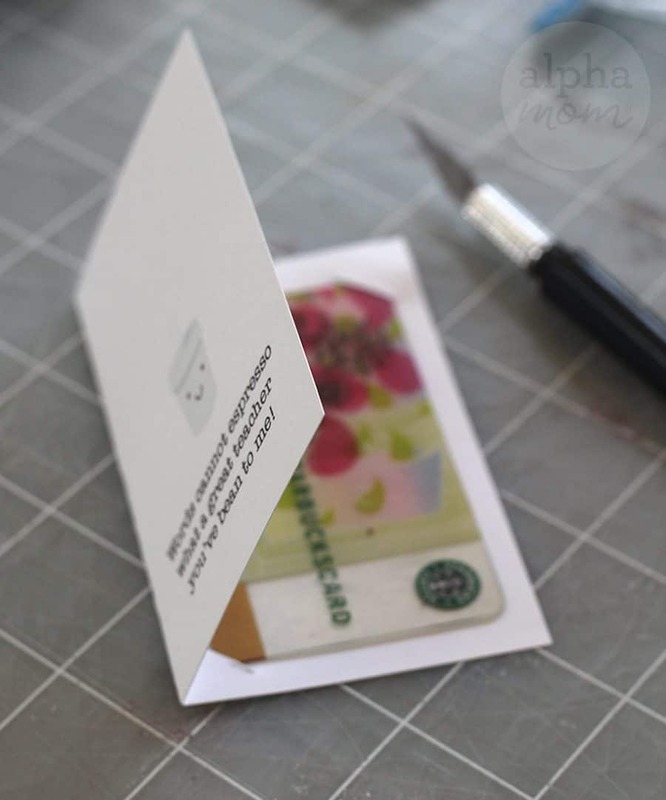 Just cut two slits and insert your card like so. We’ve got four designs for you to pick from! 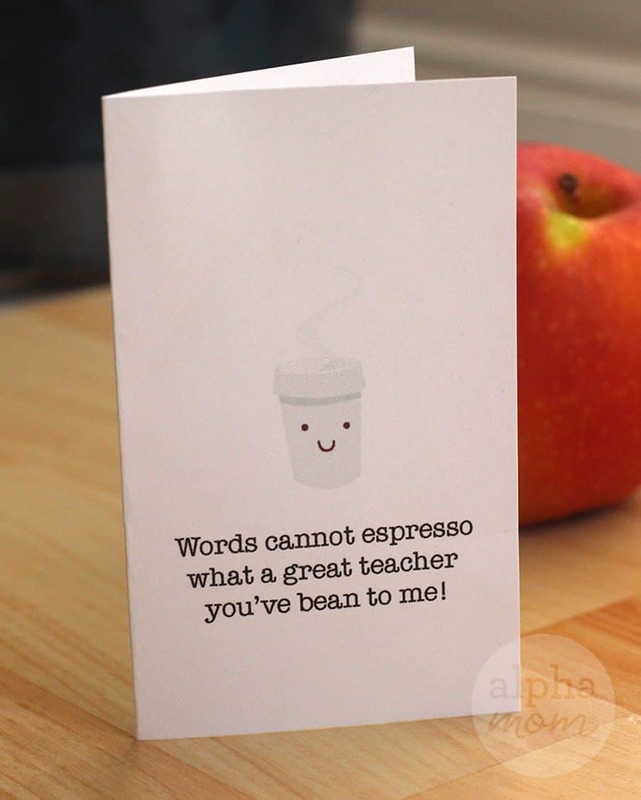 Because maybe you know your teacher is more of a frappuccino fan. Just CLICK, print, cut them out and fold in half. The rest is up to you! Don’t forget to say thank you inside the card when you sign your name. 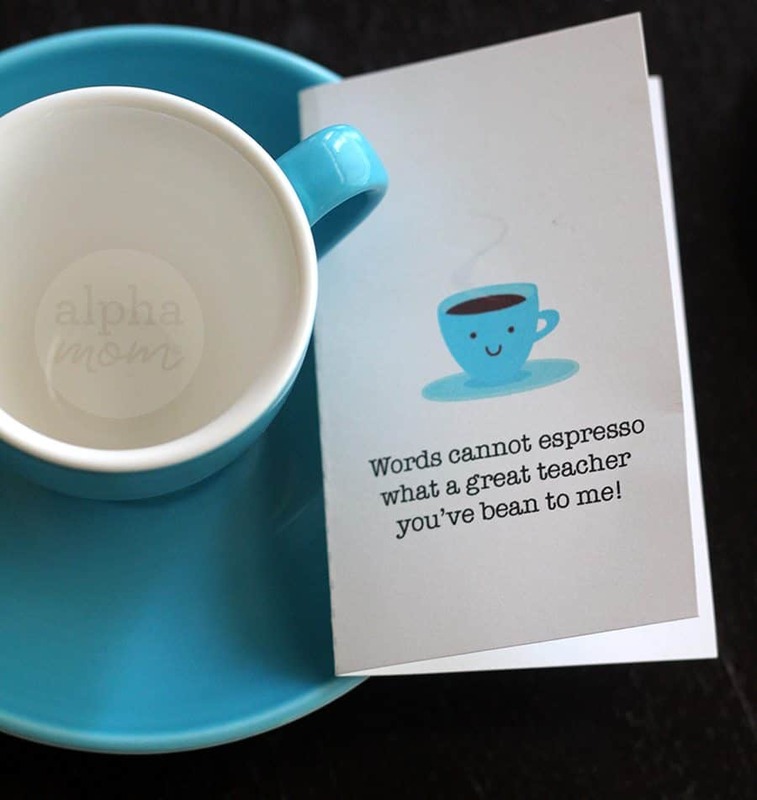 Find more Teacher Appreciation ideas here. 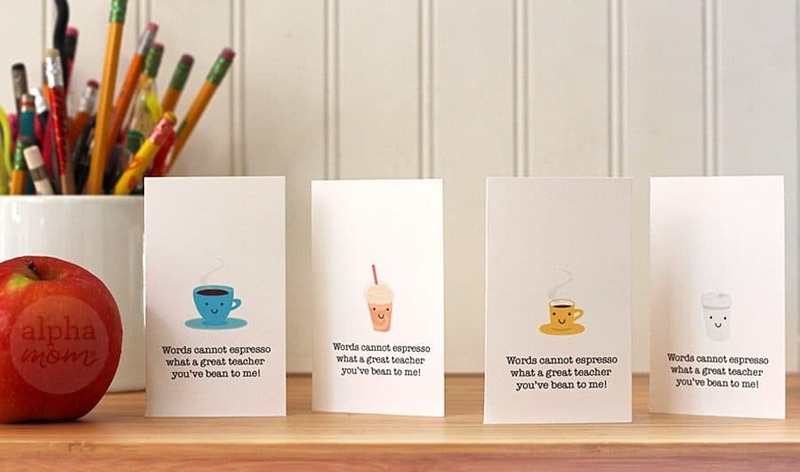 Thanks to local coffee shop Birch Coffee whose sign inspired our take on this punny phrase.